Indra Gandhi National Open University (IGNOU) has extended its last date for JULY 2014 admission cycle. Recently IGNOU announced a new last date for admission. Now students will be able to apply for admission into IGNOU's distance education courses without late fee on or before July 8. Earlier the date was June 20. Candidates will also be able to apply till July 31 with late fee for admission. IGNOU offers 450+ courses which includes Doctoral Degree courses, Master's Degree courses, Bachelor's Degree courses, Diploma courses, PG Diploma courses and Certificate courses. Indra Gandhi National Open University is world's largest open university with more than 40 Lakh students. Below are some of the top PG & UG courses offered by the university. 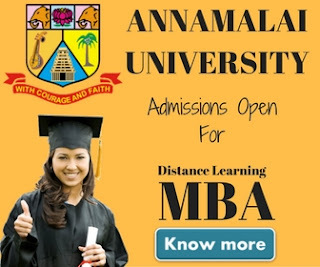 Master Of Business Administration (MBA) is one of the most popular professional degree course in IGNOU. The minimum duration of the programme is 3 years and any graduate can take admission into the programme. Candidates are required to appear into OpenMAT which is a mandatory aptitude test for admission into IGNOU MBA. Although students who has already appeared into a national level MBA aptitude test like CAT, MAT etc are not required to appear into OpenMAT. 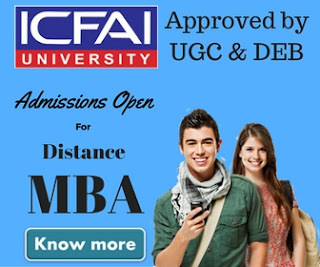 Master Of Computer Application (MCA) is another popular distance education course at IGNOU. The duration of the programme is 3 years. candidates who has a 3 years Bachelor’s degree from a recognized university and mathematics as one of the subject in 10+2 or graduation level can apply for the programme. You can read more about the programme in by reading our detailed article on IGNOU MCA. Master of Commerce (MCOM) is another popular post graduate course at IGNOU. The duration of the programme is 2 years. Any graduate may take admission into 2 years distance learning MCOM course offered by IGNOU. The fee of the program is INR 11000. The medium of instruction is Hindi & English. You can get more details about the program by referring to our article IGNOU MCOM. Law Courses: If you wish to make a career in the field of Law, IGNOU offers many distance education post graduate & under graduate law courses. To read more about the courses visit IGNOU Law Courses.